ETV4INNOVATION is 28 months long EC funded VET Strategic Partnership under Erasmus+ programme. 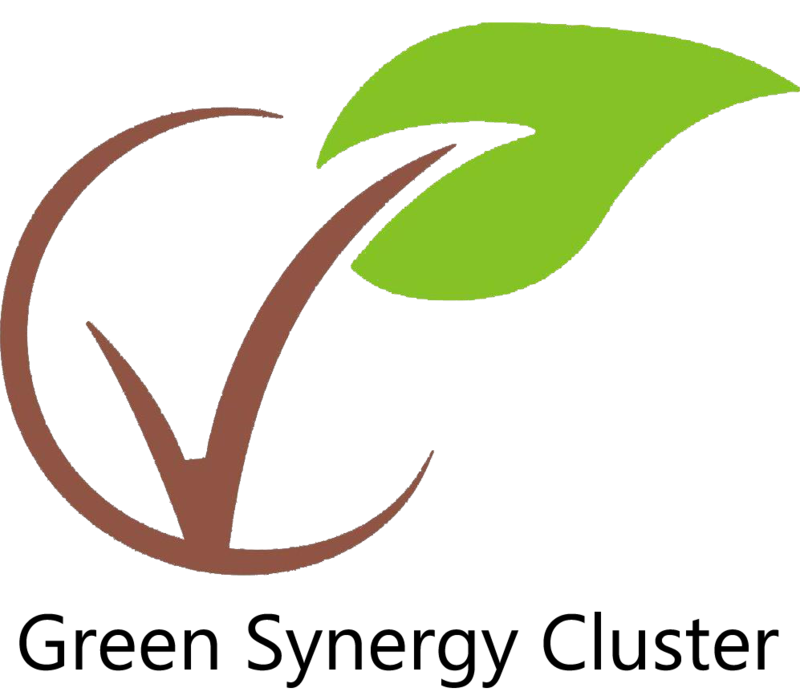 It has been designed with the aim to support the development and the implementation of an innovative practice and a new training path in the field of Environmental Technology Verification (ETV). 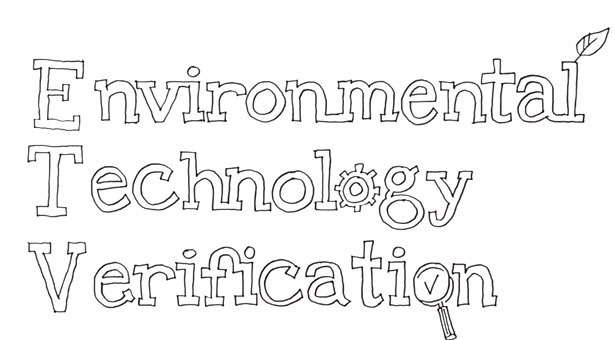 ETV4INNOVATION is part of a global endeavour aiming to provide companies developing eco-technologies with an efficient and successful access to Environmental Technology Verification as the only internationally accepted guarantee of performance for any eco-technology. 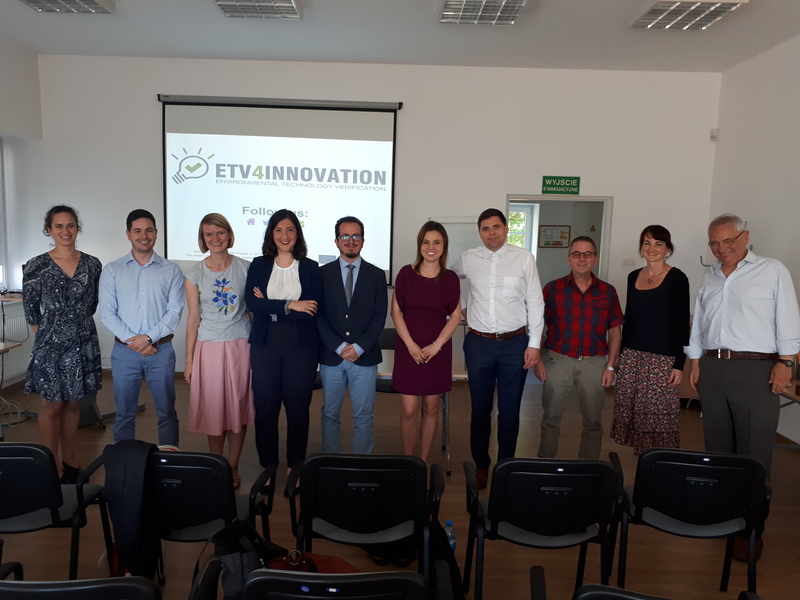 The ETV4INNOVATION project aims to design and develop Joint Curricula for filling gaps in relation with ETV for current and future managers and workers in technological sectors. 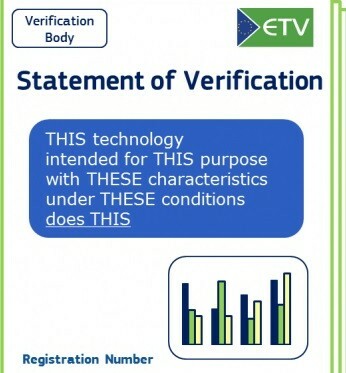 More specifically, ETV4INNOVATION will develop open-access e-Learning modules aiming to help eco-technology developers gain an in-depth understanding of the ETV scheme, thus providing them with knowledge and resources to facilitate the procedure of obtaining ETV verification statements for the eco-technologies they market. 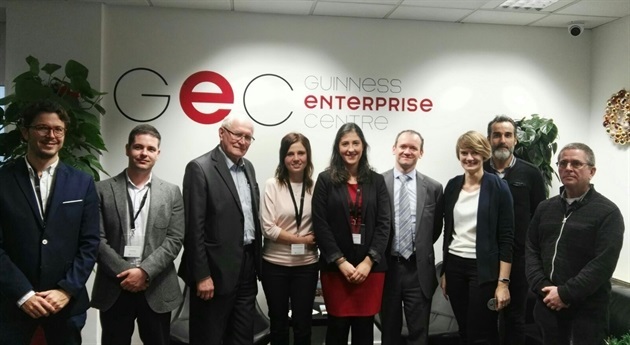 ETV4INNOVATION has been funded with support from the Erasmus+ programme of the European Commission. 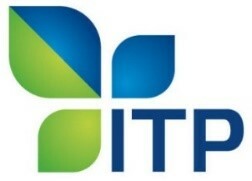 Copyright © ETV4INNOVATION, All rights reserved. ETV4INNOVATION is 28 months long EC funded project VET Strategic Partnership under Erasmus+ programme. 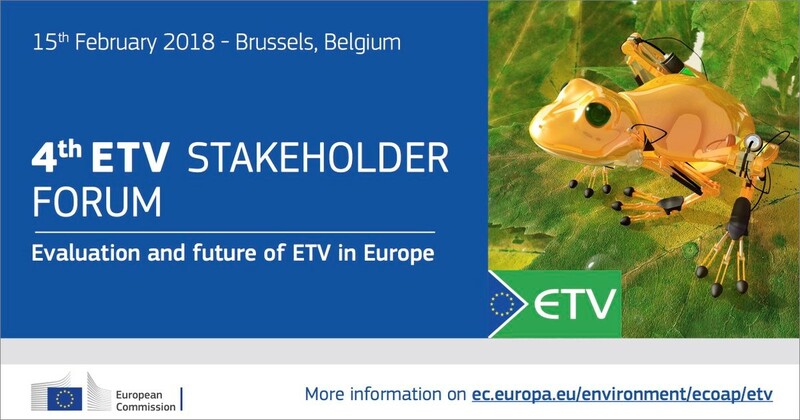 It has been designed with the aim to support the development and the implementation of an innovative practice and a new training path in the field of Environmental Technology Verification (ETV). 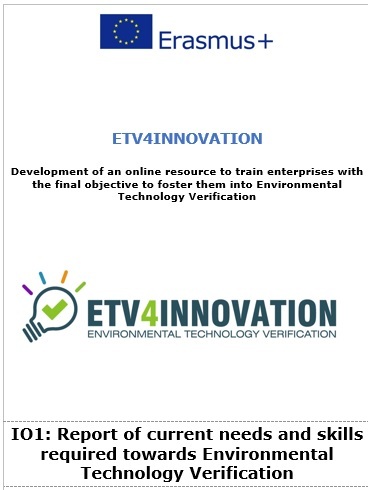 ETV4INNOVATION aims to provide companies developing eco-technologies with an efficient and successful access to Environmental Technology Verification, as the only internationally accepted guarantee of performance for any eco-technology. 2) the main needs and requirements of European technology industry and other stakeholders to face these challenges. 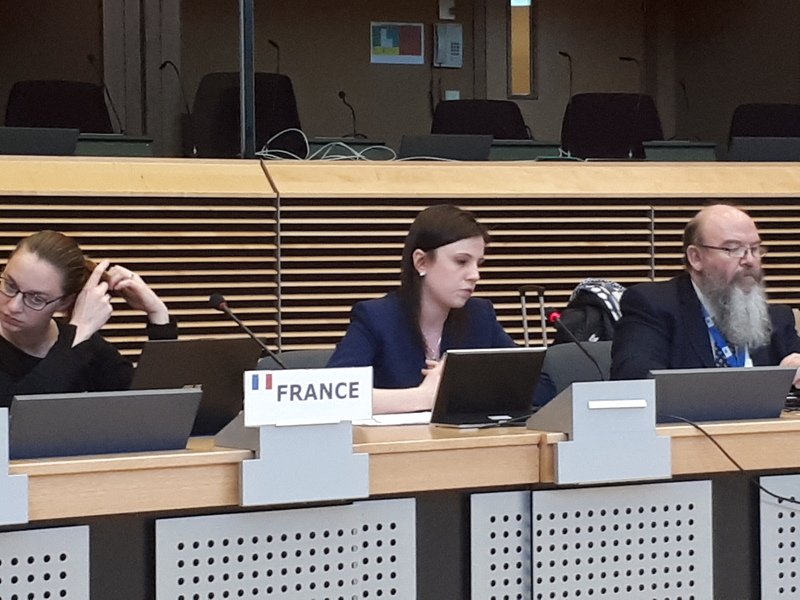 The ETV4INNOVATON team carried out the search predominantly in Europe, particularly covering the countries that have already implemented ETV. The survey was conducted with 90 participants from SMEs and related stakeholders; including regional administrations, universities, development agencies, research and innovation entities, VETs students, etc. Most of the respondents were representing small companies with less than 10 employees, planning to commercialize one or two products of eco-technology areas in the field of energy technologies and water treatment technologies. The obstacles mostly being faced by innovative eco-technologies when placing the new products into the market are - low environmental awareness, logistics and cost. Covering the international market, biggest obstacles named were: legislative issues, lack of references as well as purchasing channels. Most of the clients of the respondents do require guarantees of the environmental performance of the eco-technologies they are selling. Tests and Certifications like LCA, ISO standards were the most required guarantees from eco-technology producers. The results of the survey demonstrated that almost 72% of all the respondents haven’t heard about ETV before. ETV is known for a very narrow group of people and respondents were also asked if their customers are sufficiently knowledgeable about ETV. The results showed that 92 % have no idea or much information about ETV. Overall, it is obvious that there is a huge need of ETV course for eco-technology companies given the amount of interests generated. To make the course more beneficial and valuable for the users, the curricula will be developed knowing the feedback from respondents. The main reasons why some of the respondents were using ETV were: testing of performance; documentation of results; access to international markets, ETV works as a mean to prove the technology’s performance. Those who have successfully passed an verification process were asked to share if the ETV verification process made them aware of some skills. The skill areas indicated were: knowhow, experimental planning, data analysis; preparation of pilot and certifications. 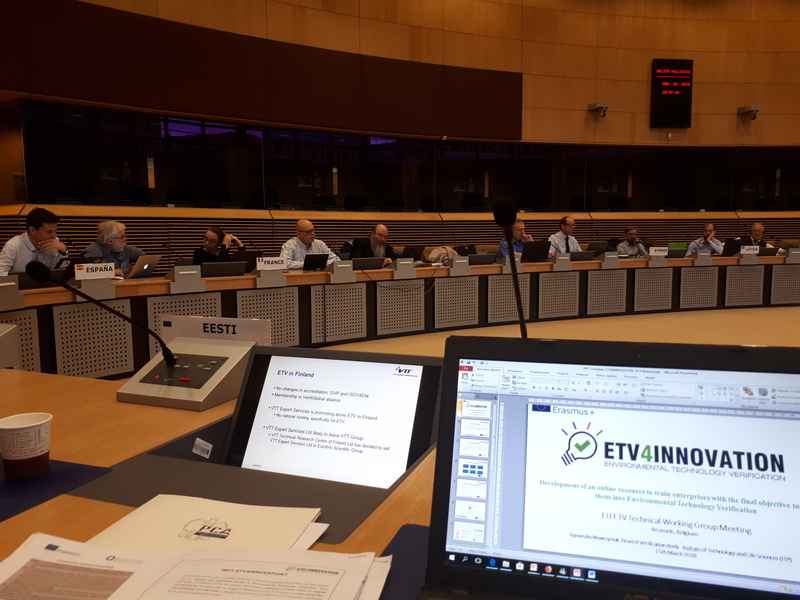 The ETV4INNOVATION consortium is currently developing the second output of the project: the ETV4INNOVATION JOINT CURRICULUM. The partners are defining and analysing the most suitable curriculum according to the conclusions obtained in IO1. 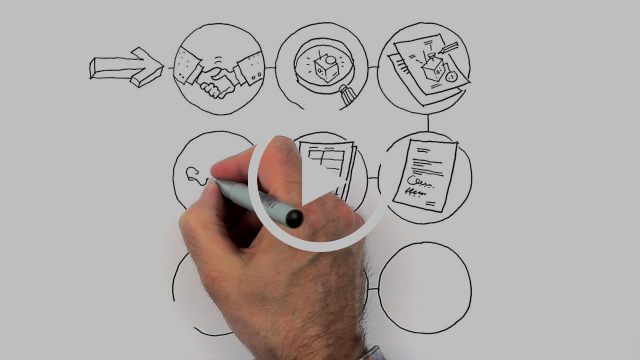 The learning outcomes to be defined and descript will be grouped into units and modules and hence will form the ETV4INNOVATION training course. 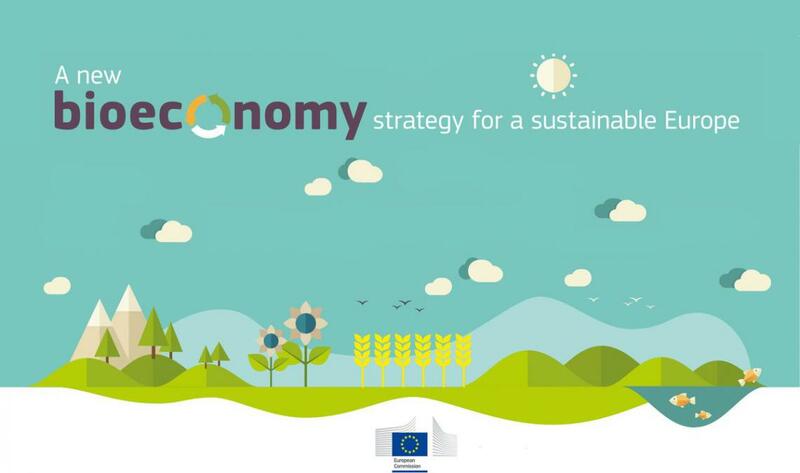 The online-course will provide information about Environmental Technology Verification with the aim to bring it closer to the SMEs and other related stakeholders. Additional information will be provided about the main green and other requirements that a company needs to meet during a verification procedure, as well as the steps on how to pass the ETV requirements. 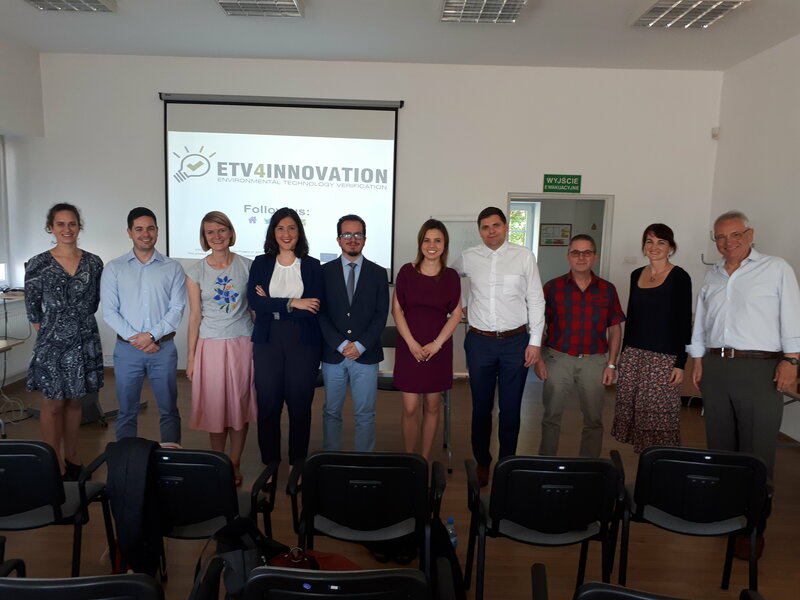 Our partner ITP presented ETV4INNOVATION during the POL-ECO SYSTEM, the largest and most important event in Poland and Central and Eastern Europe. This event is used for multiple manufacturers in order to present their advanced technologies, solutions and products for sustainable development. 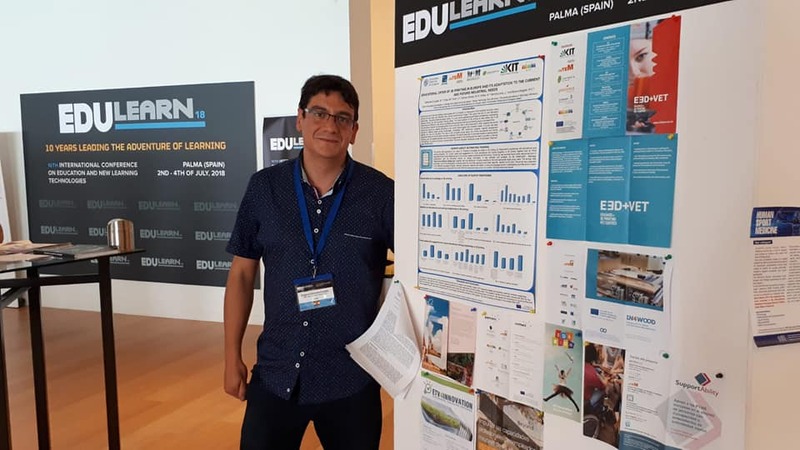 CETEM disseminated ETV4INNOVATION project during the Edulearn 2018, one of the largest international education conferences for lecturers, researchers, technologies and professionals. 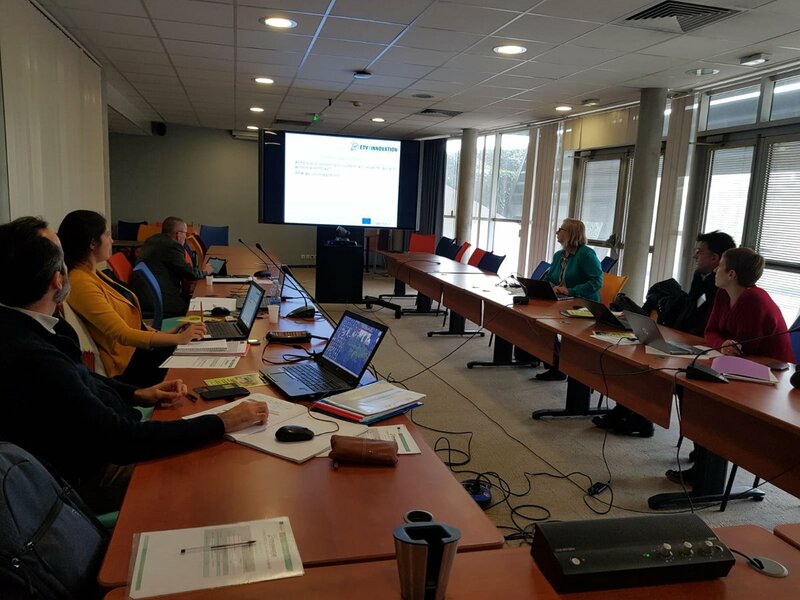 The event also helped CETEM to learn experience on innovative tools, which could be used for the development of the project, like training material and collaborative platform. Green Synergy Cluster participated during the 87th Izmir International Fair (“INNOVATION AND TECHNOLOGY”), where the project and the relevancy of Environmental Technology Verification in new innovative technologies were promoted. Purfil Aps - an ETV4INNOVATION project partner is starting an ETV procedure for an Ultra Filtration Module. 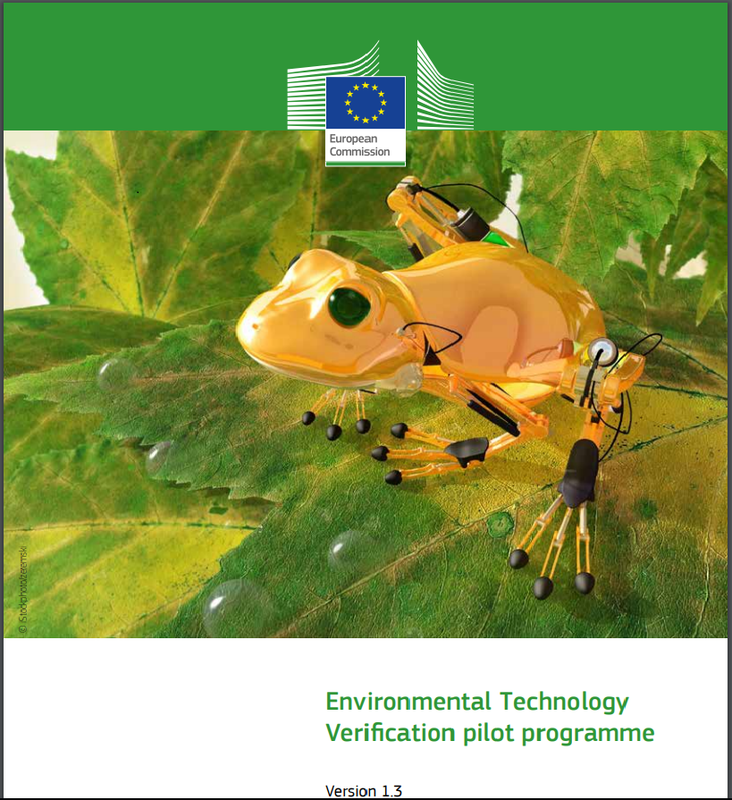 The European Environmental Technology Verification Programme (EU ETV Programme) has increased the number of products verified by ETV since its creation. Concretely, the last verified product has been manufactured by NatéoSanté. This French company specializing in indoor air quality has been developing, for several years, different ranges of air purifier. It offers professionals and individuals a solution for air purification against pollution in indoor spaces related to the presence in the air of different types of pollutants. 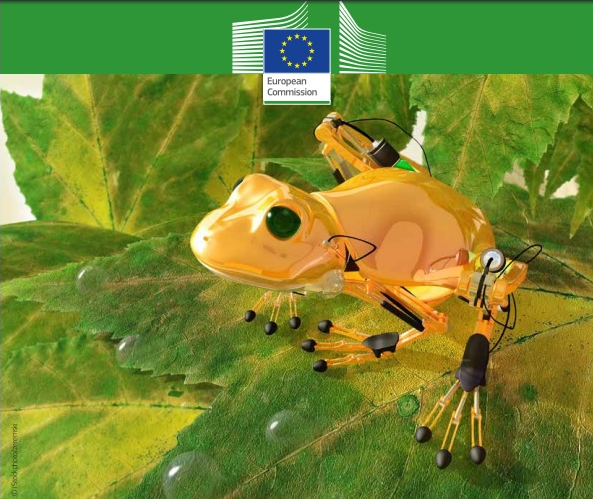 ADEME, the French Environmental Agency, has been commissioned by the Ministries of Environmental and Industry for the establishment and deployment of environmental technologies performance verification device by a third party expert (Environmental Technology Verification, ETV) based on the European Pilot Program launched by the European Union in 2011. 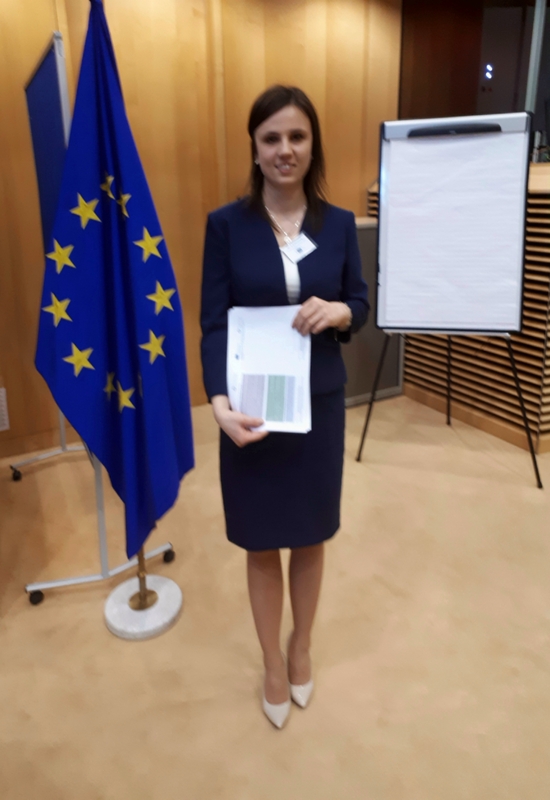 It has to marked that this report has a wide quantity of common point with the report of ETV4INNOVATION Consortium obtained from the development of the IO1.